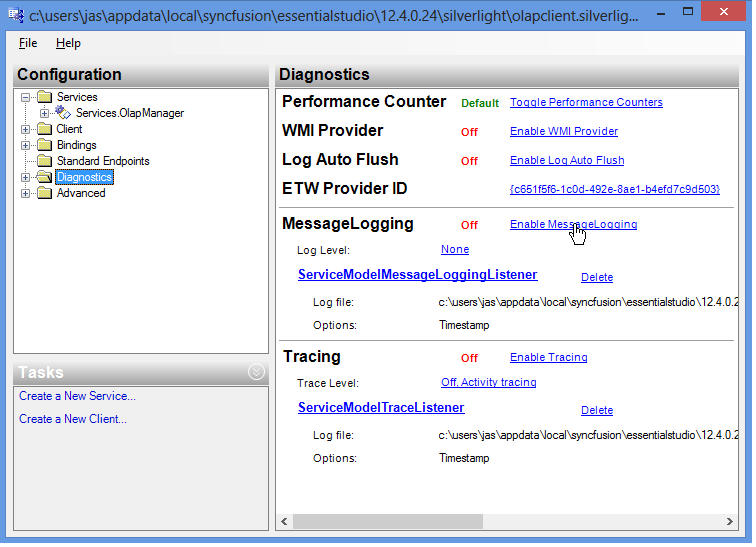 How to enable tracing and error message logging in Silverlight? 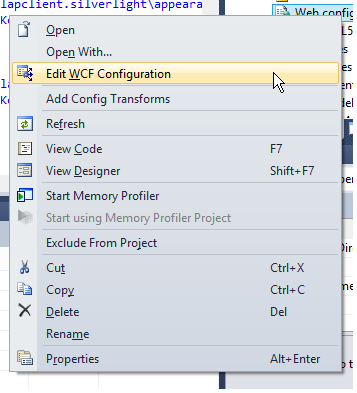 Right-click on web.config file and select Edit WCF Configuration. 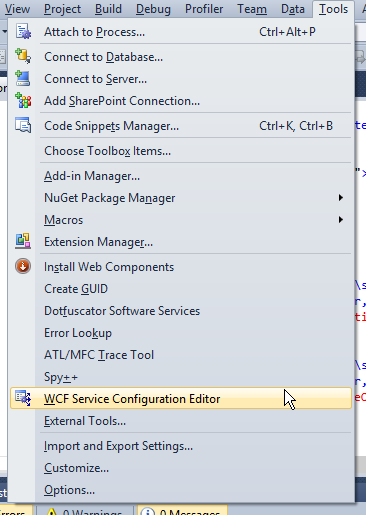 When you cannot find the “Edit WCF Configuration” here, goto Tools -> Select Edit WCF Configuration. 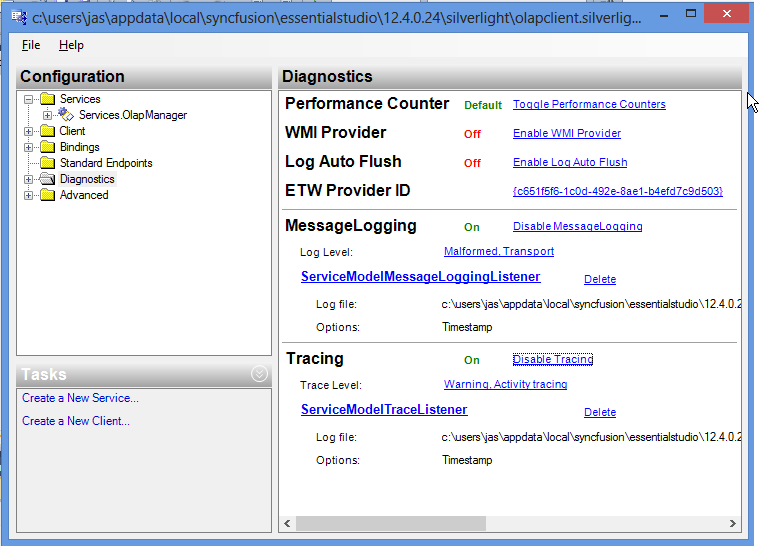 Click on Diagnostics and choose Enable Message Logging and Tracing. When you want to change the log file saving location, open the web.config in VisualStudio and change the location as follows. You can host this web.config in server, and the log files are saved in “C:\log\web_tracelog.svclog”. Make sure that your Application Pool – Identity has permission to write to that folder.